Paul Harrison has specialised in landscape photography for 6 years. His work has been published in several well known UK photography magazines along with commissions from local interest publications. His interest in digital photography materialised with the advent of affordable SLRs offering advanced features and flexibility. Based in West Sussex, Paul has assembled a varied portfolio of the local area offering a unique perspective of this beautiful county. The images shown here depict the varied nature of the British landscape. The key ingredients of light and composition successfully capture the essence of its many guises. The underlying signature being visual impact and a departure from the standard ‘rules’ of composition. Also featured are several images from Hungary where family connections and a love for this particular destination are revealed. 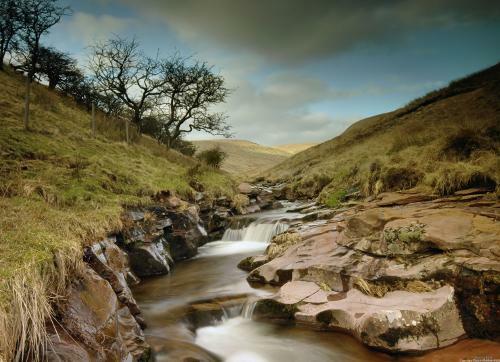 The photograph of the Brecon Beacons valley shown here is a most appropriate opening, capturing the elements of tone, quality, composition, patience, and overall understanding of place and time. Each image places the viewer ‘in the moment’ with emphasis on colour and light. Inspiration originates from three key words from Michael Bussell the famous landscape practitioner – ‘Seeing, Thinking, Acting’.